Microsoft's Bing may be way behind Google when it comes to search dominance, but this doesn't mean it should go on a campaign of self-loathing. Unfortunately that's exactly what seems to have happened if the site's auto-complete is anything to go by. 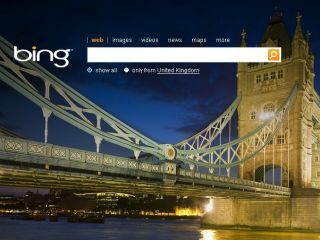 After typing in 'Bing is' into the decision engine, TechRadar was surprised at the results. Only 'Bing is better than Google' and 'Bing Island' were positive results. Well that is if Bing Island is a nice place. For Microsoft's sake we're hoping it is. When it comes to Google, surely Bing would have a bad word to say about the search giant – given that it is its biggest rival? Er, not exactly. According to the decision engine, Google is… 'better than Bing'. In fact, out of the top eight results, five were positive towards Google. Apparently Google is also 'evil', 'not working' and 'down' but it fares a lot better than Bing does. For the sake of balance, TechRadar also tried the same with Google and it seems that Google also hates Bing. With eight out of 10 searches calling Bing names. Google doesn't actually think that highly of itself, either, but at least the results are a bit more amusing, rather than plain rude – it calls itself 'a pervert', 'Skynet' and 'gangster'. Oh, and there is also the chilling statement that Google is also 'watching you' but you knew that already. Bing call itself a decision engine "that finds and organises the answers you need so you can make faster, more informed decisions." This isn't exactly something to boast about when the 'decisions' made - at the moment at least - are against your own brand.